Mobile robot surveillance robot with the ability to be raised if need be. 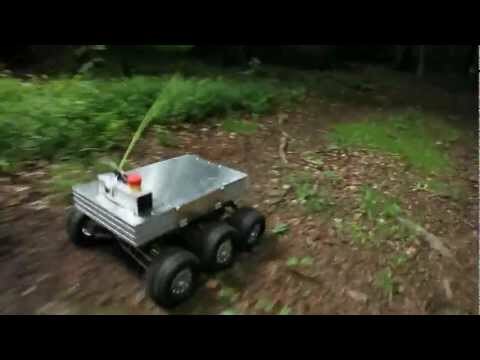 The mobile robot Summit X is used for millitary, research and development in autonomous robotics. The embedded payload in summit robotnik robotic platform provides aready base for addtional autnomous and payload integration. THis helps in saving the time on mechanics of platform design and basic sensor fusion and provides a quick setup to perform addtional research in navigation, environment perception and mathematical modeling. All the components have high quality and the summit platforms are highly durable and low in price this makes them widely used in the world.